Antibiotics attack bacteria, which are germs responsible for many different infections. There are many different bacteria and many different antibiotics. Each antibiotic attacks different types of bacteria and will be useful for treating particular infections. Some are broad spectrum, affecting a wide range of bacteria – and some are narrow spectrum, affecting only a few types. Not all infections are due to bacteria. Many, such as the common cold, flu, glandular fever and chickenpox, are due to viruses. Antibiotics do not affect viruses and are of no use in treating viral infections. Most simple coughs and colds do not need antibiotic treatment. It is sometimes not possible to be certain if an infection has a bacterial or viral cause. In these circumstances your doctor's experience and findings after examining you, and possibly testing for the cause of infection, will determine if antibiotics are needed. Unfortunately, bacteria can develop resistance to antibiotics. That means that the antibiotic will no longer kill the bacteria, and can’t fight the infection. This antibiotic resistance can develop if antibiotics are not used properly, or when they are used unnecessarily. Increasing resistance to antibiotics is a significant problem and a major threat to public health, particularly with some bacteria that are capable of causing serious disease. Staphylococcus aureus is one example. Some strains, such as MRSA (methicillin-resistant Staphylococcus aureus) have become resistant to multiple antibiotics and are very hard to treat. The more antibiotics are used, the greater the chance of resistant strains emerging, hence the need to be very selective about their use. When you are prescribed a course of antibiotics it is important to take the full course as directed by your doctor, even if you start feeling better after a day or 2. This way the bacteria will be fully exterminated and the risk of recurrence reduced. If you stop before the course is finished, there is risk of the bacteria becoming resistant to the antibiotic. Some antibiotics also reduce the effectiveness of the oral contraceptive pill. Some people are allergic to certain antibiotics. This can result in a rash such as hives, and occasionally some swelling of the lips or tongue developing soon after taking the antibiotic (usually within one hour). Very rarely, an allergic reaction to antibiotics results in a severe reaction with collapse and breathing difficulties – anaphylaxis. Rashes that appear after taking an antibiotic are not always due to allergy – they may be due to the illness itself. If you develop a rash after taking an antibiotic, talk to your doctor. If any reaction is rapid and severe, call an ambulance. 1. Principles of antimicrobial use (revised October 2014; amended February 2015). In: eTG complete. Melbourne: Therapeutic Guidelines Limited; 2015 Jul. http://online.tg.org.au/complete/ (accessed Nov 2015). 2. NPS MedicineWise. 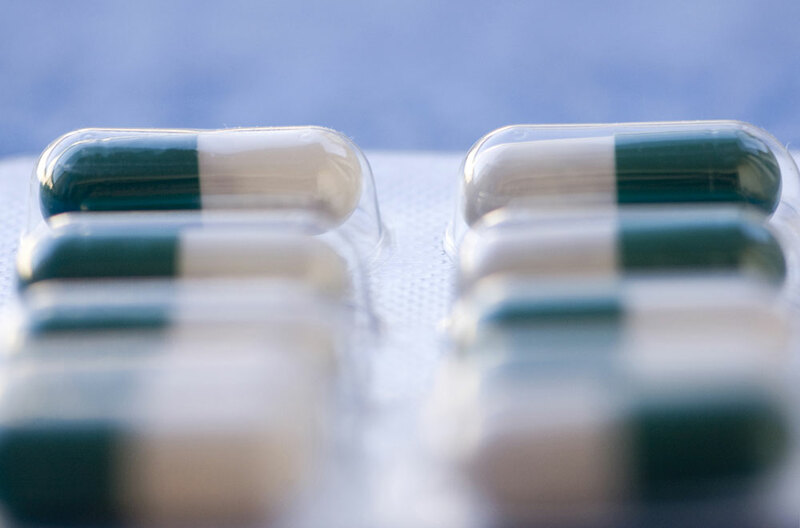 What are the side effects of antibiotics? (updated 5 Apr 2012). http://www.nps.org.au/medicines/infections-and-infestations/antibiotics/for-individuals/side-effects-of-antibiotics (accessed Nov 2015). 3. NPS MedicineWise. Antibiotic resistance â€“ what is it and why is it a problem? (updated 23 Jun 2014). http://www.nps.org.au/medicines/infections-and-infestations/antibiotics/for-individuals/what-is-antibiotic-resistance (accessed Nov 2015). 4. Australasian Society of Clinical Immunology and Allergy (ASCIA). Antibiotic allergy clinical update (updated May 2015). http://www.allergy.org.au/health-professionals/hp-information/asthma-and-allergy/allergic-reactions-to-antibiotics (accessed Dec 2015).